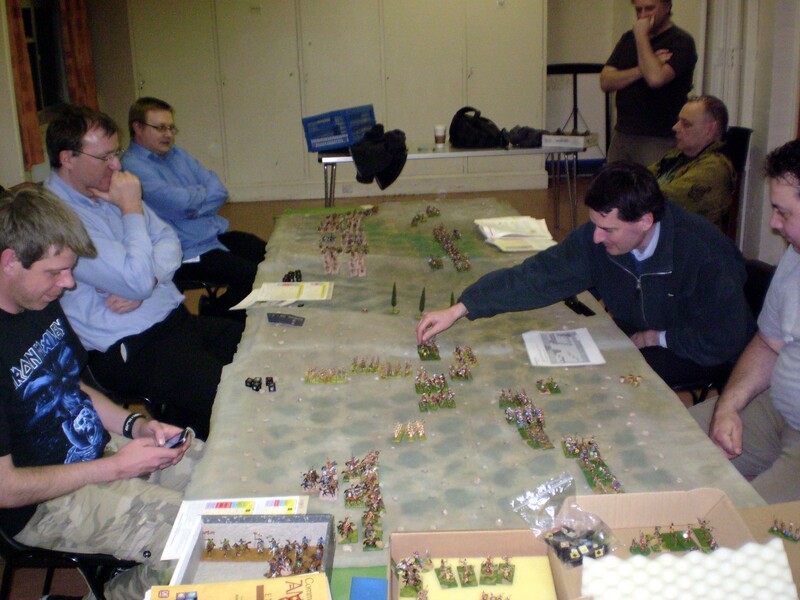 Saturday 31st March 2012 is the ninth annual Society of Ancients Battle Day. As in previous years, members of Scimitar Wargames Group will be there with an epic-sized Commands & Colors game, and I am hoping to record aspects of the day for a future podcast show. Hello Neil, sorry I didn’t bump into you at Salute..only bumped into Henry as I was about to leave! Hope you enjoyed the show, I picked up a few things but came away without a few things I was after…don’t think I’ll take stuff to the Bring & Buy next time – the guys work ever so hard but it takes an age to queue to leave stuff in and cash in at the end, and I could have used that time to seek more out! Anyway – using C & C Ancients with figures..have you done an item on that? If not could you please?? Sorry I missed you at Salute – perhaps next year? I haven’t really talked about C&C for a long time, and it’s really about due for another outing – especially with a new release of a Samurai version almost upon us – so I will chat about it then, OK? Neil, I know how you love your Samurai….so that sounds like a plan!! I will look forward to it.